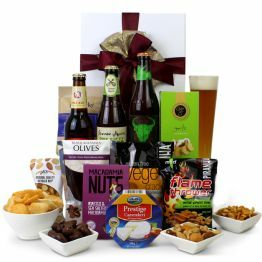 What a great gift hamper to send! 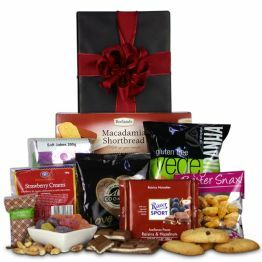 This gift is chock full of all the favourite goodies you need to share with family and friends. 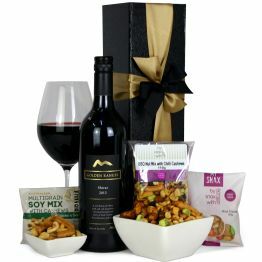 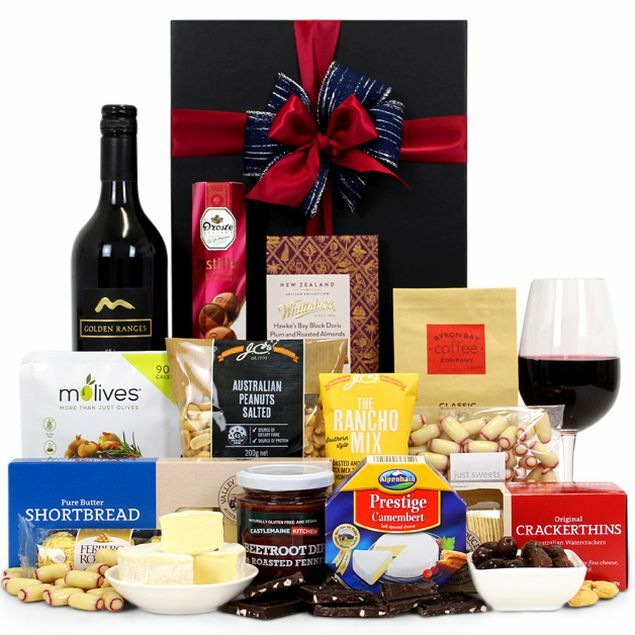 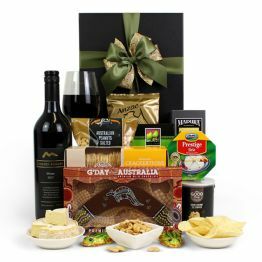 Not only does it include yummy Australian wine in the gift hamper, it also has cheese, crackers, olives, coffee and a mountain of chocolate.